Deciding to end your marriage is a difficult decision, and can be a time full of stress for both you and your former partner. Before you go through all the paperwork, though, there are several things you should take into consideration. Your finances will change with this new life, and you need to be prepared for any financial-type setbacks. Before you divorce ask yourself these five financial questions. Many people assume that a divorce will create income once you are on your own, but the actual process of a divorce usually creates expenses. When you separate from your spouse, you will have to adjust to your new responsibilities and will be solely responsible for the upkeep of your property and life expenses. Before filing make sure you can afford your mortgage and utility bills. If you depend on your spouse’s health insurance policy, you will have to purchase your own and you might also lose some of your insurance discounts. You probably have emotional ties to your home. 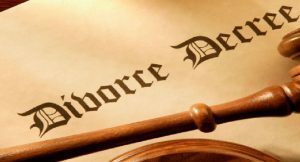 If you have lived in it for several years, you might not want to part with it in a divorce. Staying with a residence can be good in some ways, but you will have to pay for the routine maintenance tasks and upkeep on your own now. If you do not already have extra income, you might have to find another job. If you downgrade your lifestyle in the aftermath you might save money. You will have to pay your rent and utilities, but will not have to pay for the upkeep of a large home or shared apartment. You should factor in how much you will spend on your children’s expenses as well. If you are not the custodial parent, you could be ordered to pay child support. When thinking about getting a divorce, you need to reduce your debt if possible. Open accounts without your spouse will be a huge burden later on. If your spouse has access to your credit cards, you should consider removing them from the accounts when you can and cancel any shared accounts. If your state awards alimony, speak with a Blumenauer Hackworth lawyer or another attorney who focuses on divorce cases. You might get a large alimony payment, or the judge might grant you a small monthly payment. Keep your expectations realistic. Whether you or your spouse initiates the divorce, you both have one thing in common. You both are starting over and need to protect your finances. When you are prepared for the financial changes, you will be able to enjoy your new single lifestyle more fully.